The lodge made a significant contribution to the national OA program during the 1990's with the creation, development, and stewardship of the OA Trail Crew program at Philmont Scout Ranch. 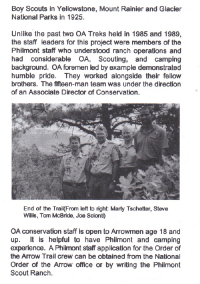 Longtime Philmont staff members Marty Tschetter and Michael Edwards were stewards in their own respetive ways to spearhead this program. 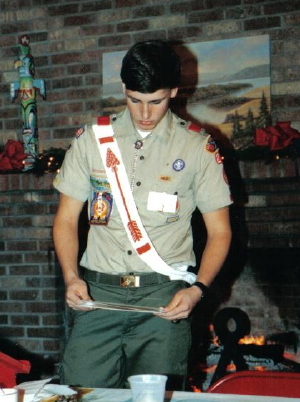 Seth Brown served as the youth program chairman and served as a foreman two summers. 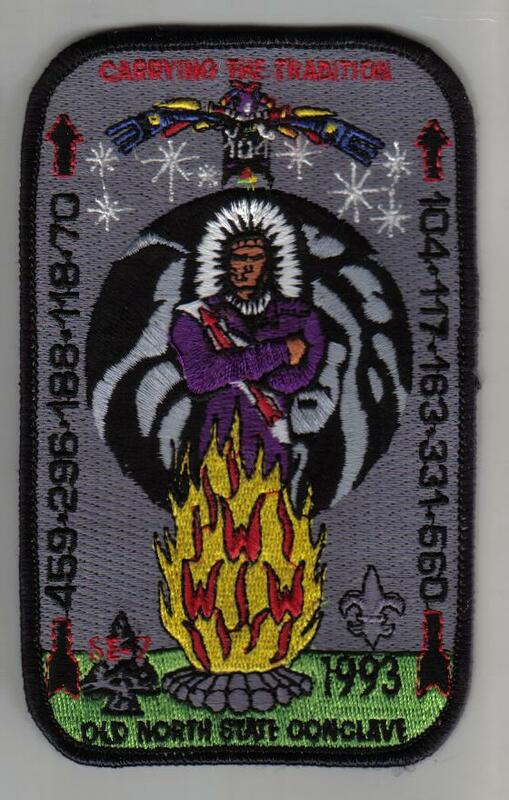 Their vision is a wonderful tribute to everything positive and 'good' in Scouting as an organization. The three along with a small committee of youth leaders in the Order used their inspirations and positive experiences as youth in the East Carolina Council, that transcended into a far-reaching program nationally. The development and evolution of the program is below. 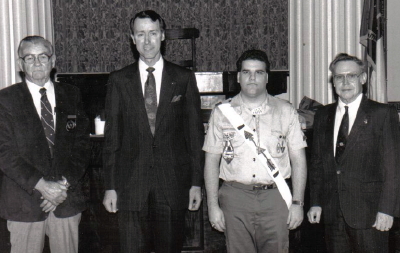 Brian Powell and camp staff member from Jacksonville served as lodge chief. 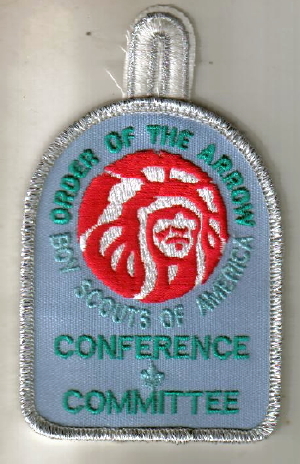 The LOTC was held on January 6th at the council office. Lodge goals included most from the previous year but it was also decided to attempt a 55% Brotherhood conversion rate. 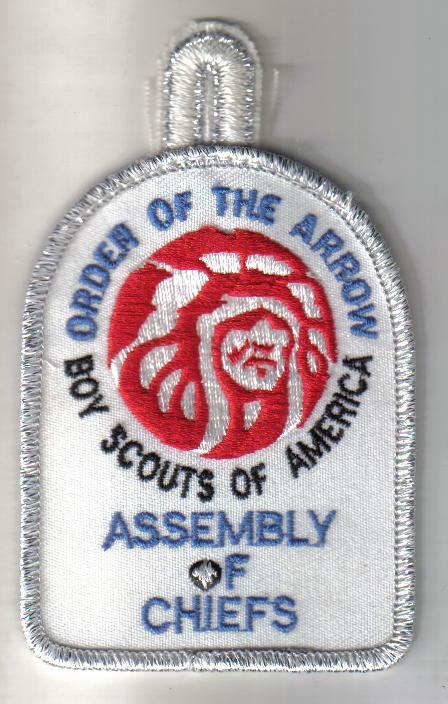 This was the 75th anniversary of the Order of the Arrow, which would be highlighted at the national conference later in the summer. There was a special award recognized nationally that both youth and adult could earn through personal achievement. 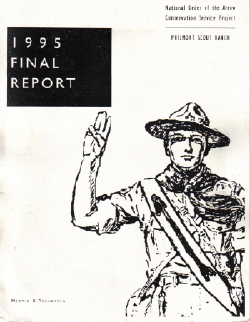 Under Brian's term the lodge Where To Go Camping Booklet was revised and issued. 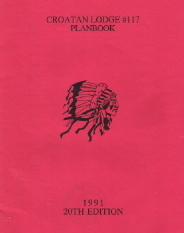 There was a decision to issue the booklet for a three-ring binder. 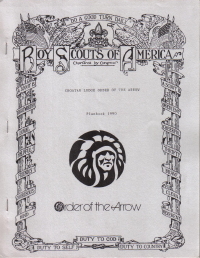 The thought at the time was that when future revisions were made only specific pages would have to be changed.At this time lodge events cost $9, the fall fellowship was $12, and the banquet was $5. 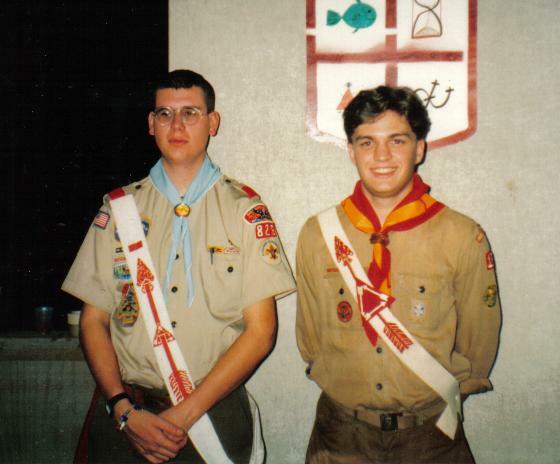 Twenty-seven members received their Brotherhood including Seth Brown. Camping Promotions Vice Chief Michael Edwards announced that the summer camp promotions slide show had been revised and would be available soon. Service Vice Chief Chris Humphrey mentioned that the National Guard had recently donated their time and work at camp. Wahissa did an outstanding job hosting 1168 participants to celebrate the 75th anniversary of the Order. The lodge placed second for Team Dance and second for the Lodge Display competition. Trainers Kevin Banks and Marty Tschetter placed first as trainers for their session "Council and Lodge Relations". The Brotherhood team won the ceremony competition and had the special privledge to actually induct new Brotherhood candidates at the fellowship. 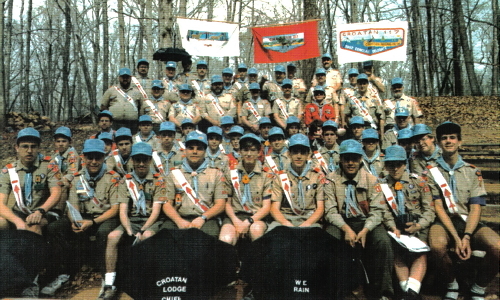 The lodge placed second in the Participation Award, but won the Spirit Award. Commemorating the 75th anniversary, Wahissa sponsored a time capsule to be opened at the 100th anniversary of the OA. Lodge Chief Brian Powell took the flap off his uniform and placed it in the canister with a special note to present to the 2015 lodge chief. Chapter responsibilities included pre-Ordeal by Tau, Ordeal by Neusiok, Brotherhood by Tanugahi, Friday crackerbarrel by Machupunga and Saturday by Natsihi. Dining hall duties for the first three meals by Wiccacon and the last two by Tarhunta. 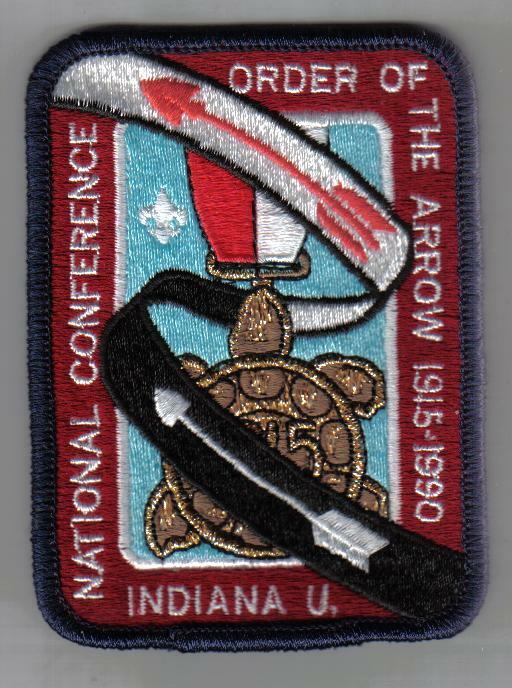 Thirteen lodge members attended the national conference, with five on staff. 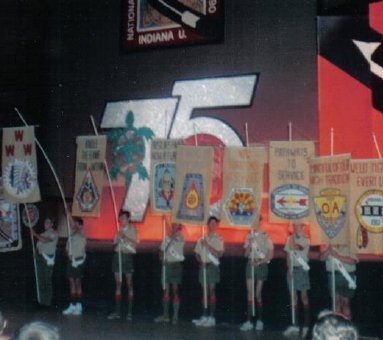 This was the 75th anniversary of the Order and at the time was the largest NOAC held with approximately 7,500 in attendance. 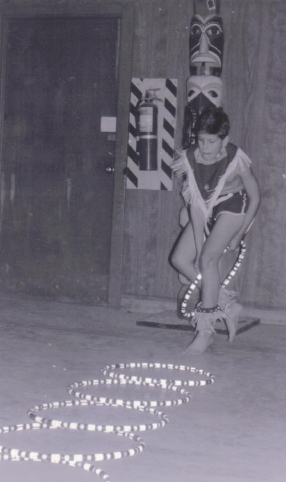 The program included top training ceremonial and sports competitions, Indian dancing and awesome shows each evening. 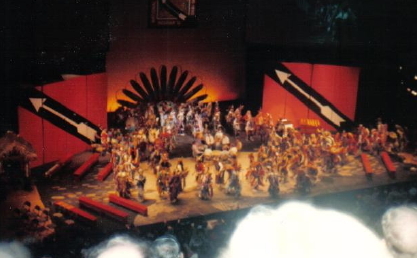 The theme show "Vision In The Night" was one of the highlights. It consisted of a brilliant laser light show topping the show at the jamboree the previous year. Michael Edwards commented, "The show was awesome! 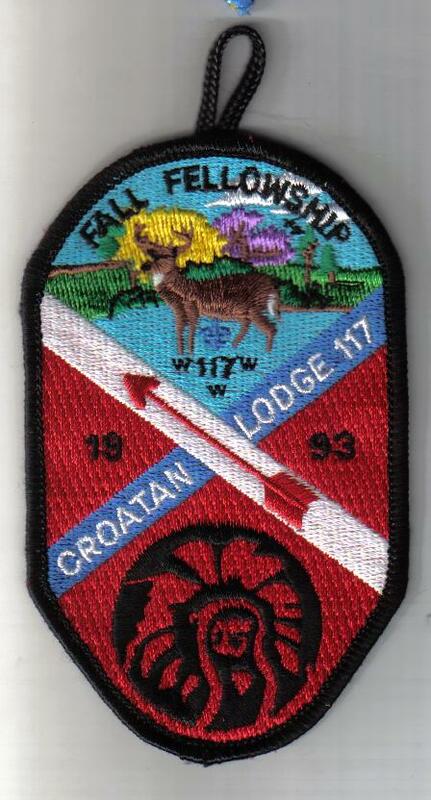 I am really pysched about the OA and Croatan Lodge!" Front row: David Pound, Marty Tschetter, Jamey Shine. J. C. Cladopolous, David Willis, Gil Respess, Ryan Hobbs. 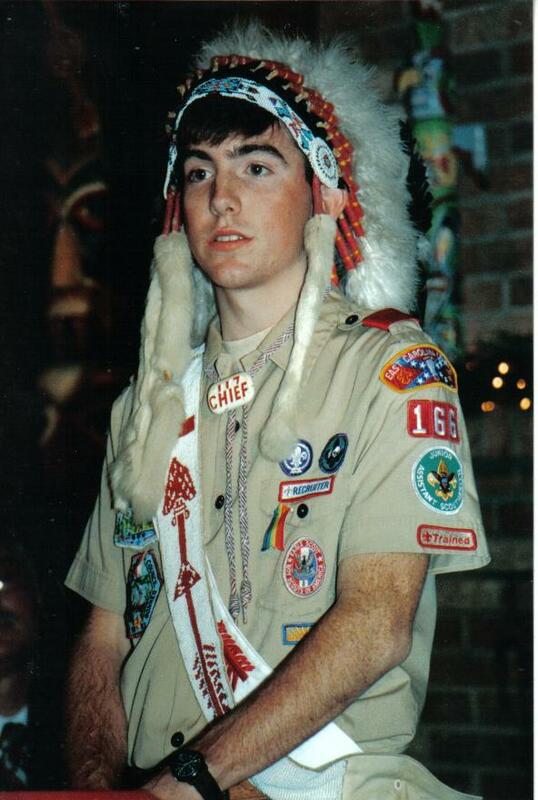 CVC for Publications was SE-7 Section Chief Bryant Webster. Marty served on the Conference Report Staff. 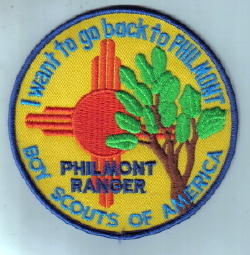 Philmont Rangers "Fresh off the Trail"
crash a couple years later. Lodge members Michael Edwards, David Willis, Jamey Shine, and Marty Tschetter attended the seminar. They had a fun road trip. Several attendees participated from Echockotee Lodge based in Jacksonville, Florida, including Greg Hazlehurst, Ed Tudor, and Jack Butler. 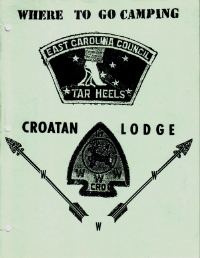 This is mentioned because there was a budding friendship between Croatan and members of this lodge at the time. Also, this is the first place that Michael and Marty met Sean Cox, a future national chief. 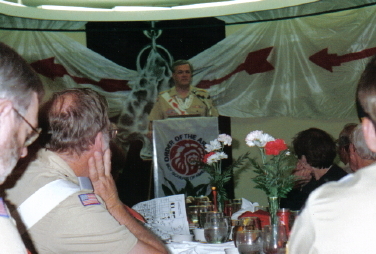 The annual banquet was held at the reception center at Camp Bonner. 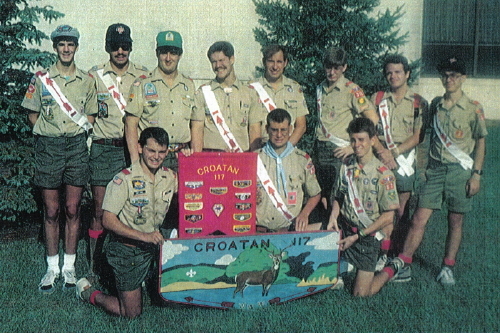 Left to right: Ryan Hobbs, Michael Edwards, Chris Humphrey, Chris Norman, Jeff Gurkin, Marty Tschetter, David Pound, and Brian Powell. 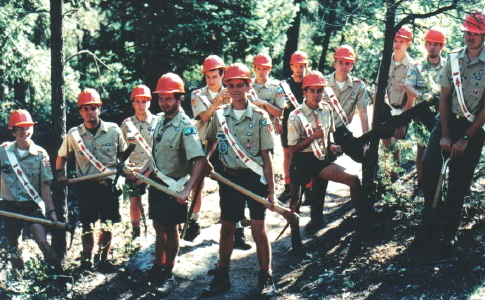 Left to Right: Palmer Sanders, Michael Edwards, Jamey Shine, Chris Humphrey, Jeff Gurkin, Ken Brown, Bill Haskins, and Clifton Glover. Vigil Committee Chairman Chris Norman in background. Michael Edwards from New Bern served as chief. Marty attended the Echockotee Winter Fellowship in Jacksonville, Florida to visit with a few Philmont friends. During the weekend he picked up a couple ideas that would be incorporated into the OA Trail Crew program at Philmont a few laters. 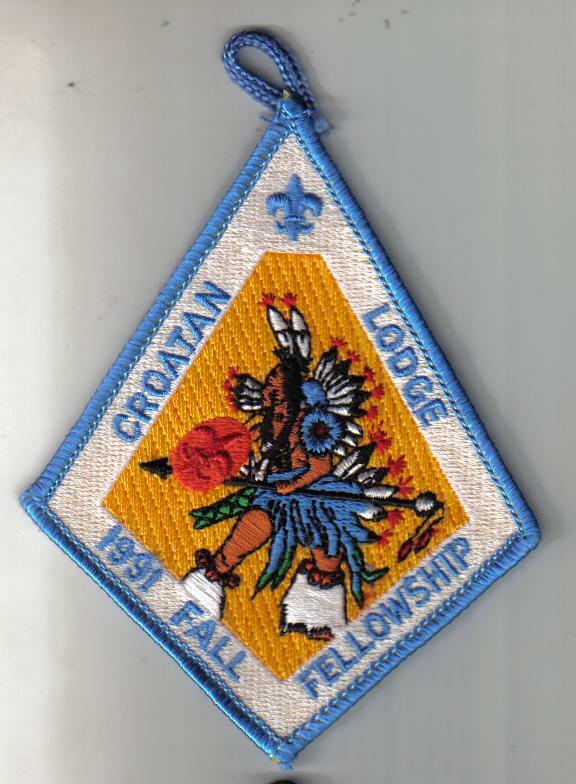 During the weekend the lodge holds their Vigil Honor ceremony Friday night with a banquet on Saturday to honor the new recipients. 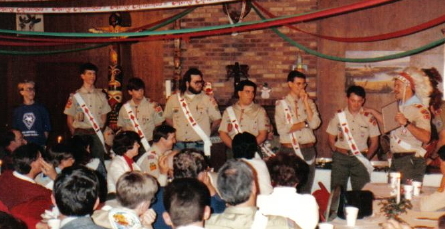 The new inductees sit at the head table with the lodge Vigil Honor members serving dinner to all the attendees. The servers wore a special Vigil Honor apron. 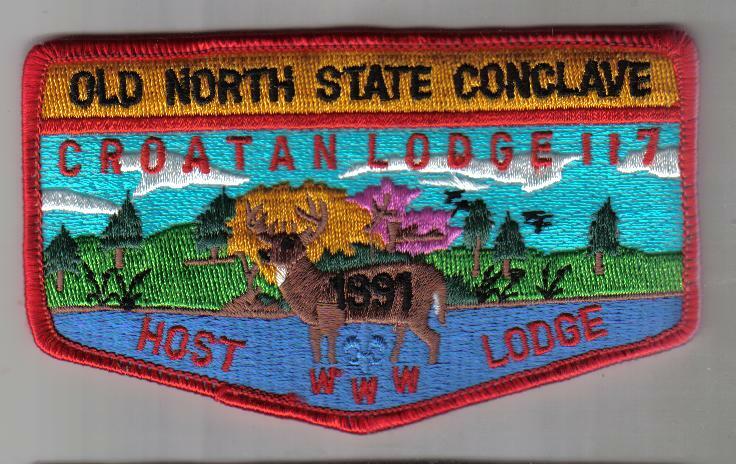 The lodge planned for conclave over a year out with required workdays for the 150 members planning to host the event. All was fine Friday evening during the campfire for our 600 guests. We were visited by Blackbeard the pirate, Tali Taktaki Lodge recognized the founders award recipients, lodge member Billy McKemey graced the stage with the hoop dance, and the Energizer Battery rabbit made an appearance between sets. The Council of Chiefs met before lunch and decided to cancel the balance of the weekend. Jason Stancil from Tali Taktaki was elected section chief. The host lodge was tested over those weaning hours. But they channeled their frustration and disappointment towards helping out the visiting brothers from throughout the state. A special 'farewell feast' was served for lunch, followed by a closing meeting at 4pm. Section 7 advisor John Young gave a final 'thank you' to the host lodge. Then proceeded to announce that the ten other lodges voted that Croatan receive the highly coveted Spirit Award. 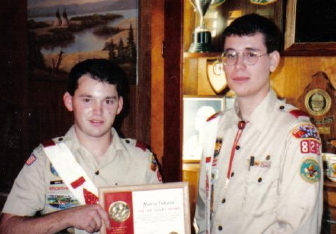 This was an unprecedented event that a host lodge would receive such an honor. 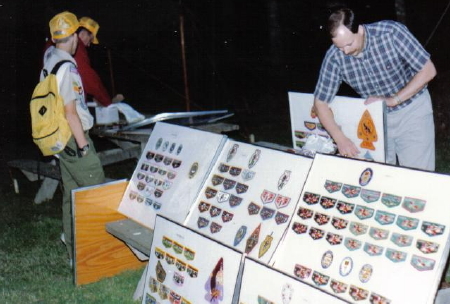 Croatan showed how committed its members were to the Brotherhood of Cheerful Service. Two years of tedious planning had culminated in a disappointing rain-out, but section Arrowmen took the time to remember their dedicated hosts. 739 total attendance, 163 from Croatan. Then the rain started. Instead of the weekend theme "Upwards in Brotherhood", it turned into "Downward in Rain". 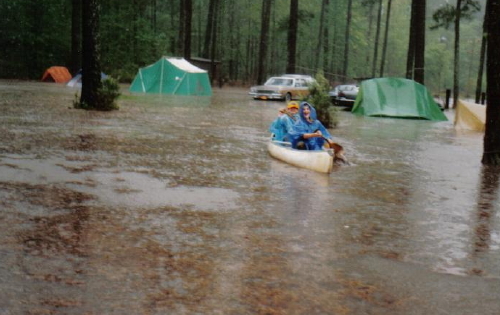 The weather poured rain over the course of the night and by morning time Scouts were literally paddling around camp. 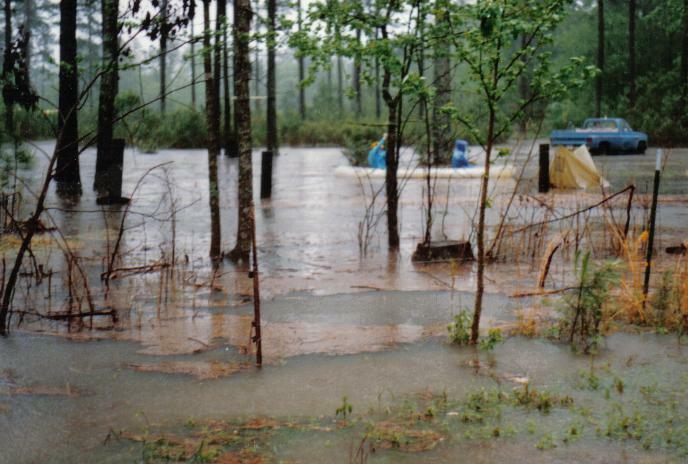 Two feet of standing water greeted host Arrowmen in the COPE field and all campsites were totally swamped. 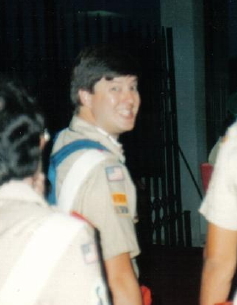 Scout executive John J. Bush addressed the lodge at the Saturday night campfire. Next, there was a special performance of "the Croatan Lodge hoop dancers of the past, present, and future" graced the stage. 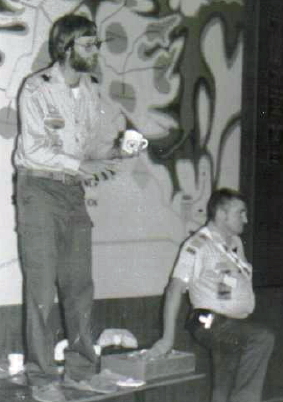 Former lodge chief Roger Billica and Billy McKemey performed a duo routine. 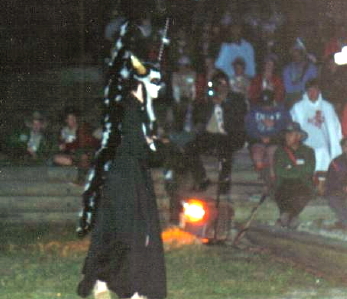 Near the end of their session, the hoop dancer that many youth recognized from the Friday night evening campfires during summer camp was Dane Brinkley. Inspired by his camp experience only the year previously, Dane Brinkley brought the house down with his high-energy approach to the well-known Croatan Lodge hoop dance. Dane drew a standing ovation, encore, and won the individual dance competition held earlier in the day. The lights came down and Dr. Roger Billica stepped to center stage. Roger embodies the concept of achievement sought by his Scouting peers. He was achieved a great deal in his relatively short life. 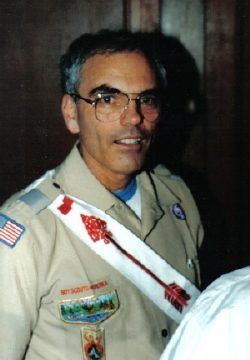 An Eagle Scout, Vigil Honor youth recipient, past 6A chief, past lodge chief, member of the Southeast and Western Region OA Committees, former lodge adviser for Wipali Wiki Lodge in Phoenix, Arizona and recipient of the national OA Distinguished Service Award. 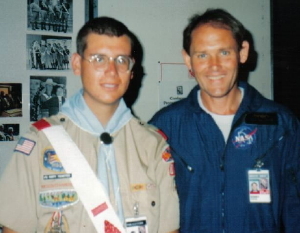 Professionally Roger has served as a medical doctor at Grand Canyon National Park, past Chief of Flight Medicine with the US Air Force, an F-15 and F-16 piolot, he currently serves as Director of Medical Operations for NASA. 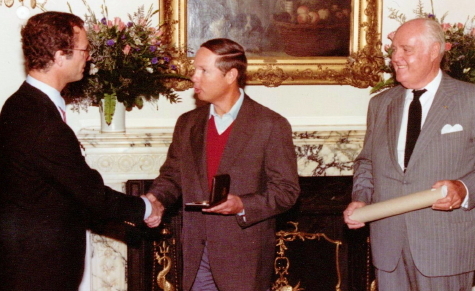 And at the time of his speech was a finalist for a space shuttle astronaut mission in 1994-95. 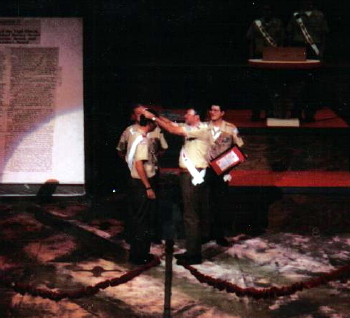 Dr. Billica charged the Arrowmen present "to remain docused on the final point of the Scout Oath - to keep myself phstically strojng, mentally awake, and morally straight. If you can remian faithful to these ideas, not only as a Scout, but in everything you do, you can achieve anything you desire in life". His words were truly inspiring and in response lodge members applauded with another standing ovation. 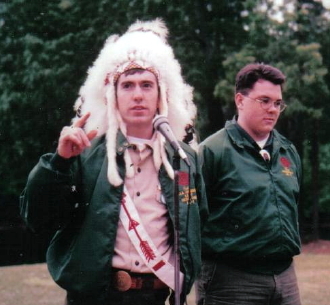 Jeff Gurkin from Bear Grass served as lodge chief. Lodge goals included to have a large delegation to the national conference, obtain at least 55% Brotherhood conversion, to strengthen and unify the lodge, and to actively retain new members. The lodge was represented with a large group at the Carolina Indian Seminar. Indian Affairs Chairman Ryan Hobbs was actively working to put together a lodge dance team. Also, there was mention that Dane Brinkley was interested in putting together a team of hoop dancers. Lodge Treasurer Seth Brown wrote in the Croa-Talk, "I am looking forward to making this year a profitable one for the lodge. Part of my job is to run the trading post. To do this, I have to sell to you. Unless you buy from the trading post, the lodge doesn't make any money. So please my friends, empty your pockets at our lodge functions." Camping Promotions Vice Chief Steven Relay made a request for new slides to help him update the slide show. Chapter assignments were pre-Ordeal by Tanugahi, Ordeal by Neusiok, and Brotherhood by Natsihi. Friday night crackerbarrel by Tarhunta and Saturday by Coree. Dining hall duties for the first three meals were handled by Arapahoe, last two meals by Tau, "keeper of the fire" by Wiccacon, and final clean-up by Machapunga, Neuseokena, Tearora, and Toisnot. 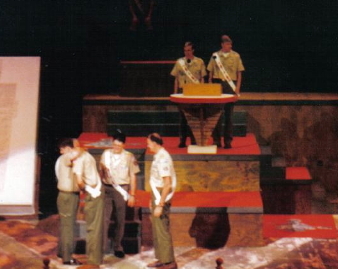 At the annual national Boy Scout meeting in May 1992, longtime council Scouter Jim Hackey was recognized with the national Silver Buffalo award, the first recipient from the council. 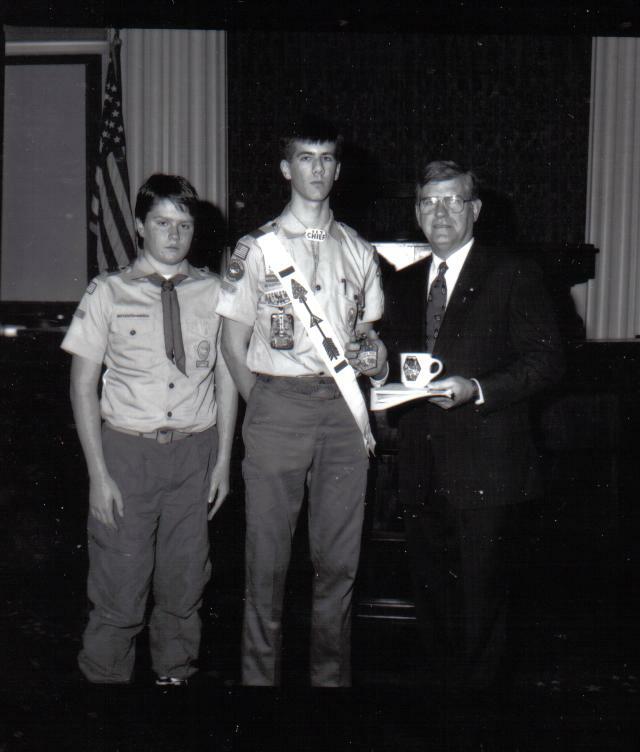 Jim grew up in Washington where he earned Eagle Scout in 1954 and the Explorer Silver Award the same year. 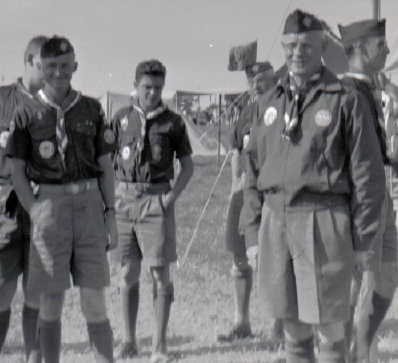 He was a participant at the 1955 World Jamboree in Canada. 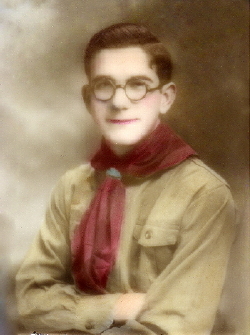 Hackney served Scouting on the region, national, and international levels for decades. 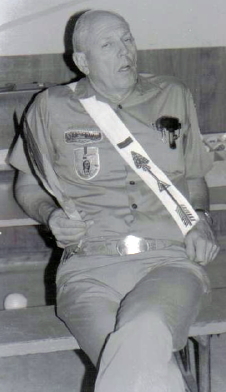 He was a former council president (1975-77), Southeast Region President (1987-89) and a 1977 Vigil Honor lodge recipient. 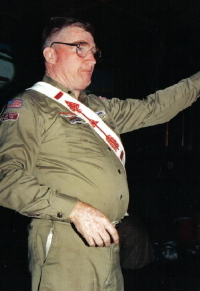 He served on staff at several jamborees including service as the Region Camp Chief at the 1981 National Jamboree, Chairman for the SE Region contingent to the 1983 World Jamboree in Canada, Chairman of Logistics for the BSA contingent to the 1991 World Jamboree in Korea, and Chairman of Operations for the BSA contingent to the 1995 World Jamboree in Holland. 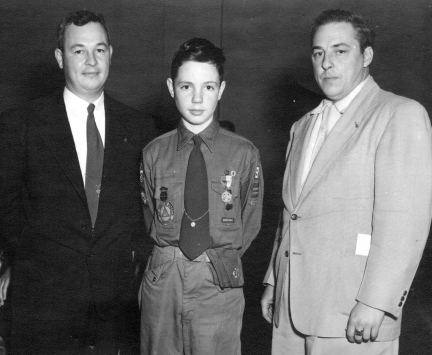 Scoutmaster Arthur Meece, unidentified Scout, man in background is Chief Scout Executive Arthur Schuck, Assistant Scoutmaster Bob Armstrong. Schuck was the 11th Vigil Honor recipient nationally in 1922. The lodge was well represented at the fellowship. 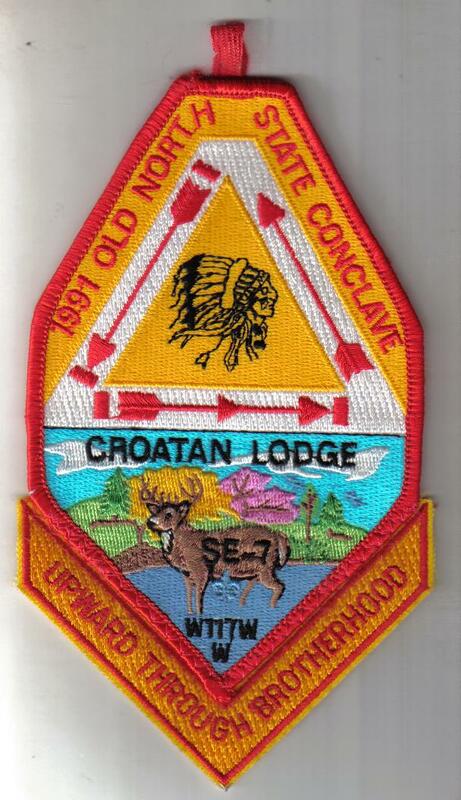 In true Croatan creativity the lodge issued a special flap for the contingent. 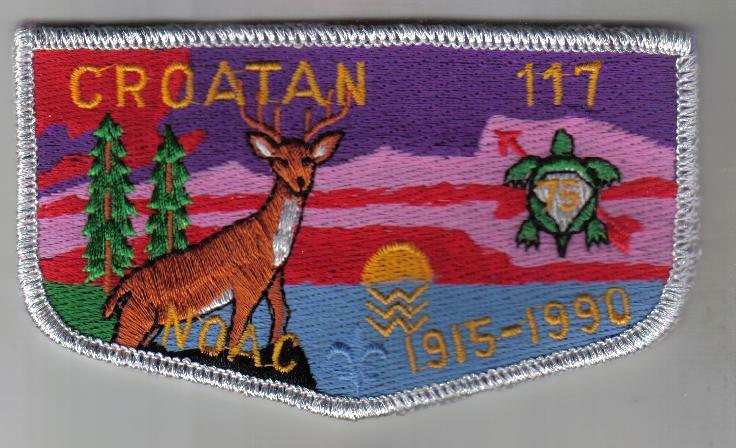 The patch depicted a deer in a canoe with an umbrella and the verbiage "Croatan Reigns in '91", reflecting the washout the previous year. 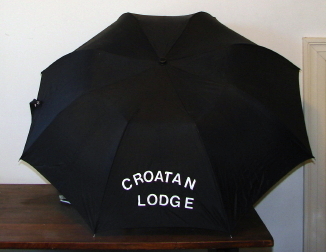 Lodge members carried special umbrellas throughout the weekend. Tanugahi was responsible for the Topic Exhibit and the Ceremony Competition. 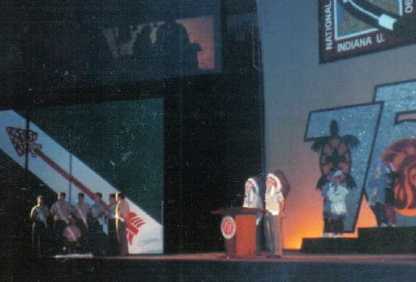 Indian Affairs Chairman was responsible for the Indian Culture Exhibit and the competition. Vice Chief of Service Allen Tharrington was in charge of organizing the quest team. 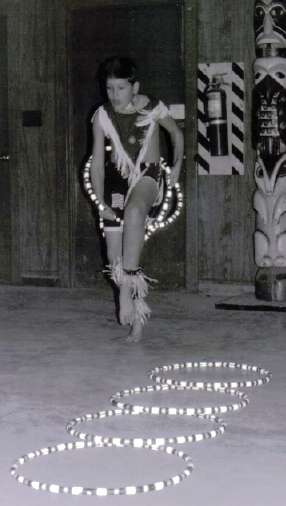 Dane Brinkley led a lodge hoop dance team. C. Carawan placed second in the Traditional Senior Division. James White placed second in the Fancy/Grass Novice Division. 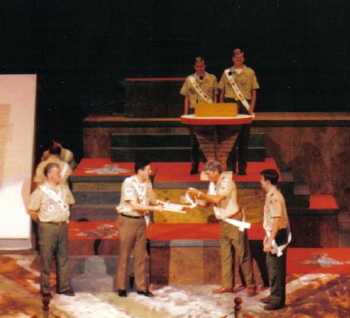 The lodge placed fourth in the Quest. 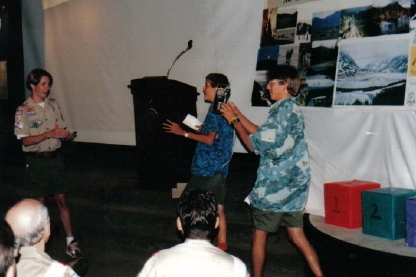 Michael Edwards wrote the Founders Award presentation at Philmont the previous summer with collaboration from Greg Smith. He used excerpts from book The Gospel of the Redman by Ernest Thompson Seton. 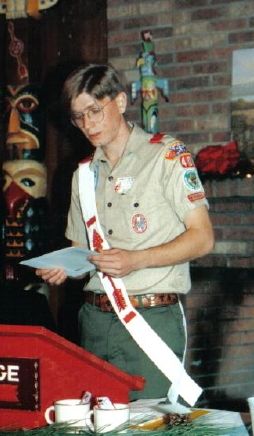 He performed the ceremony at conclave. 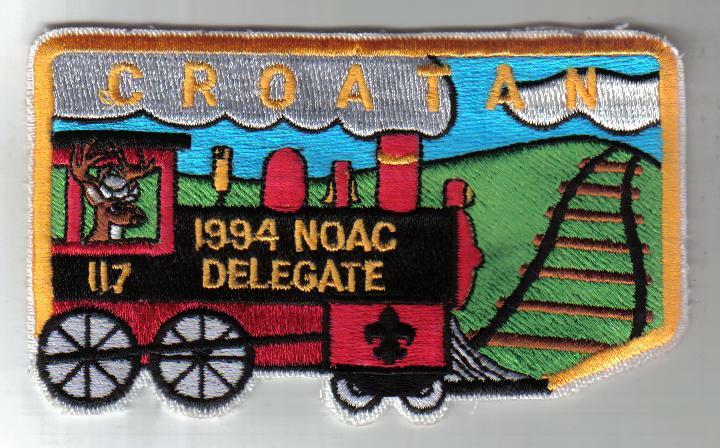 Jeff wrote in the October Croa-Talk, "All the NOAC delegates had a blast. We got new ideas to bring back to Croatan, and I think we all got more excited about the Order of the Arrow." He also announced two new operation announcements, that no makeup could be used in ceremonies or dancing and no wigs could be used in Indian activities. Michael Edwards served on staff as a photographer. 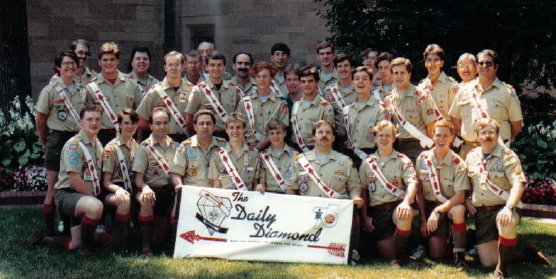 Front row, left to right: David Pound, Robert Shaw, Seth Brown, Nathan Brown, Jeff Gurkin, Reggie Cahoon, Will Lamont , Dane Brinkley. 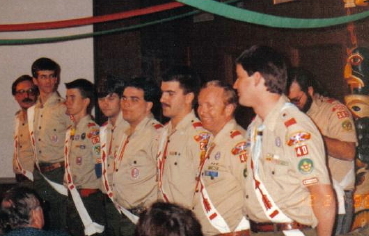 Back row standing up, left to right: Michael Edwards, Irvin Mizelle, Gil Respess, John Shuping, David Hollowell, David Welsh, Jason Register, Allen Tharrington, B.P. Cox, James White IV, Jason Hyman, ? , Billy Gurkins, Todd Nobles, ? . 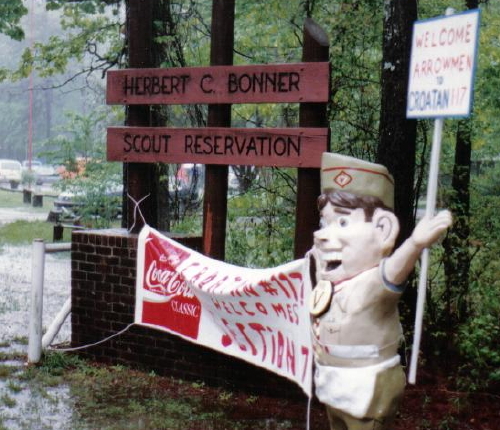 Camping Promotions Vice Chief Steven Relay announced that the Camp Bonner promotional slide show was being discontinued. Instead, there was a brand new video show that would be issued to chapters. The lodge inducted 31 Ordeal members and 12 received Brotherhood. Twenty-five people were still needed to obtain Brotherhood to reach the lofty goal of a 55% conversion rate. care of by Coree, Tearora, and Toisnot, and Wiccacon would setup for the lodge meeting on Sunday. 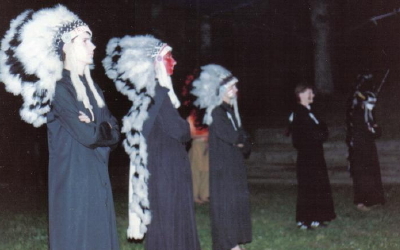 Activities included the standard exhibits, ceremony and Indian dancing competitions, and the quest. A new competition of horseshoes for the 'old men' was held. 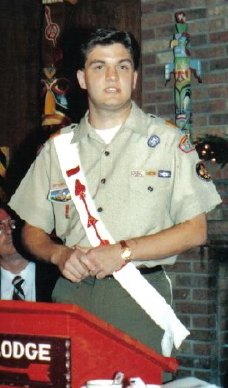 Seth Brown was elected lodge chief. The annual lodge banquet recognized the officers for the year and installed the new slate. Special guests included Section Chief Rob Shelton from Tali Taktaki, National Chief Sean Cox from Tallahassee, Florida, Bryan Gregson from Blue Heron Lodge, and National OA Committeeman Bruce Sanders also from Blue Heron. 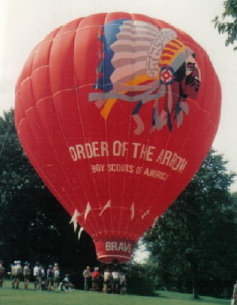 Bruce was the 1974-76 SE Region Chief. 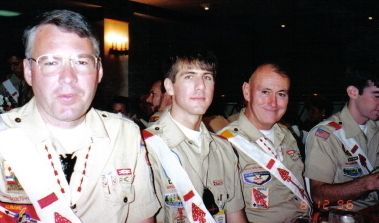 The following day youth Arrowmen were invited to lunch to meet and talk to Sean in Greenville. Outgoing Lodge Chief Jeff Gurkin. Greg Smith, Bryan Gregson (Blue Heron), Lee Pearsons (Nayawin Rar), Rob Shelton (SE-7 Section Chief), Jeff Gurkin, Sean Cox (1992 National Chief), Seth Brown, and Marty Tschetter. Seth Brown from Winton served as chief. The LOTC meeting was held in January at the council office. 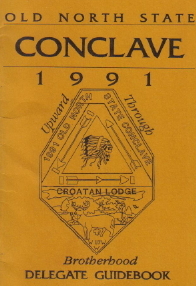 One of the topics discussed were ideas for conclave. 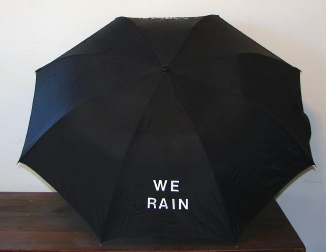 The 'umbrella' idea the previous year was a hit and very successful for commraderie and spirit. Indian Affairs Chairman Reggie Cahoon reported that the lodge was well represented at the Carolina Indian Seminar. 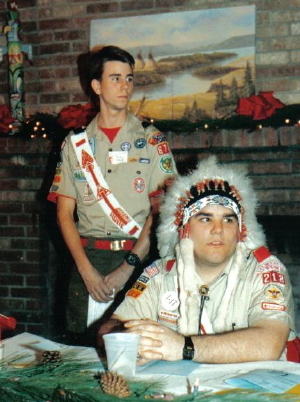 He planned a lodge Indian Seminar at Camp Bonner for the end of February. Vice Chief of Camping Promotions Dane Brinkley encouraged chapters to make the effort to contact all the troops in their districts about a presentation. He distributed extra copies of the new video that was designed to replace the slide show. The February workday at Camp Charles had 66 people attend. Inductions Vice Chief Todd Nobles held an Elangomat training session on Friday evening to better prepare those who served and to help with new member retention. Will Lamont placed first in the Old Syle dance competition, Reggie Cahoon placed second. The lodge dance team placed second. Michael Edwards was elected section chief, the first lodge member since Al Patrick in 1980. 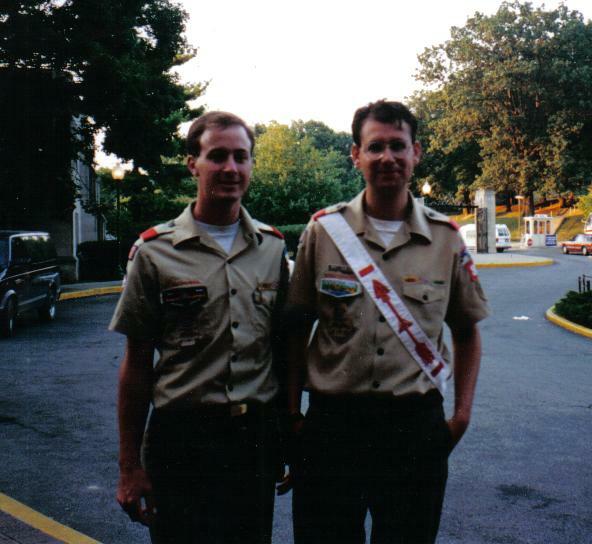 Marty and Michael served as Philmont Rangers. 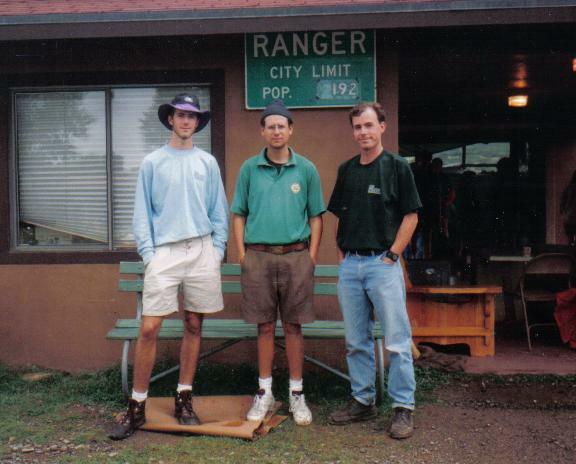 During the summer while serving as a Rayado Ranger (21-day special backpacking program), Michael was with his crew climbing up Baldy Mountain. Their trek had been strenuous and difficult, but were collectively working through their challenges as a team. The other ranger with the crew kept hiking with the crew, while Michael stopped to catch his breath and absorb the experience. The world around him was peaceful, serene, and powerful. The atmosphere was clear, fresh, and beautiful. 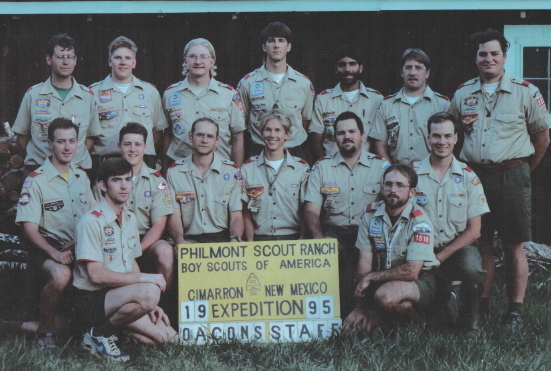 During this reflection Michael had a vision of sharing this realm of Philmont with youth arrowmen from across the nation. 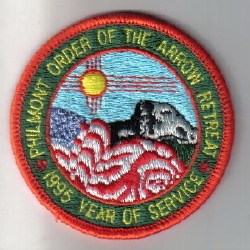 He felt that the Order of the Arrow and Philmont could share an awesome, soul-searching venture in the spirit of brotherhood, cheerfulness, and service. The seed had been planted and Michael was full of enthusiam and eager to find people to listen to his idea. Marty and Michael finished the summer on staff at Philmont and made a cross-country road trip back to the east. Enroute, Michael was to attend the Southern Region officer's meeting held in Jackson, Mississippi. The two arrived to camp late and slept outdoors for the night. They woke-up in the morning with a few advisers 'laughing' at them for sleeping outdoors, when they (the adults) had slept inside cabins. Michael and Marty found that ironic. Fresh off the Rayado program and full of youthful enthusiasm, he was eager to talk about his experience. Marty introduced Michael to Jack Butler, a member of the national OA committee from Echockotee Lodge in Jacksonville, Florida. 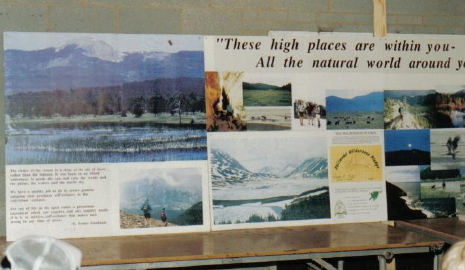 Jack was an avid outdoor enthusiast with several Philmont treks under his belt. He would become a key-supporter of their innovative 'idea' over the next couple years. 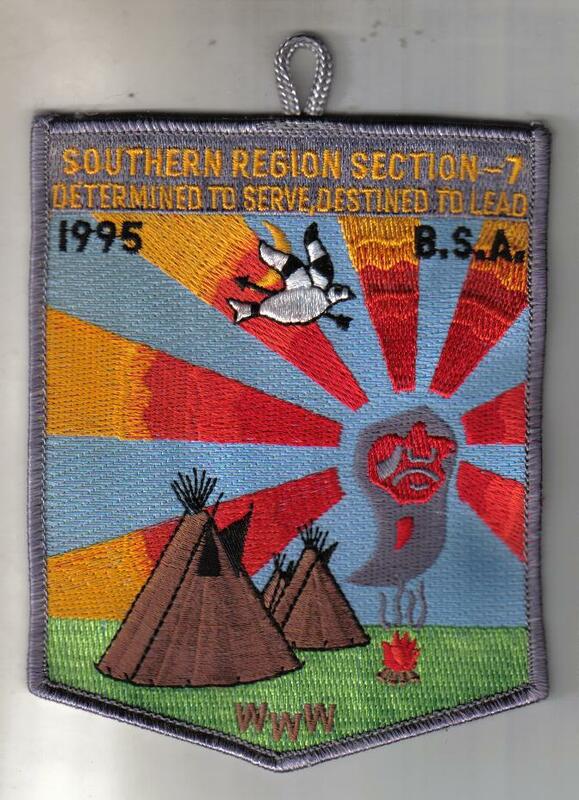 Also, at this time the BSA downsized from six regions to four. 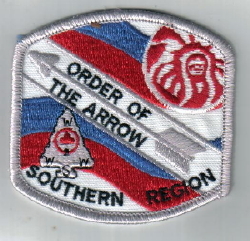 There was a request for designs for a new Southern Region OA patch. 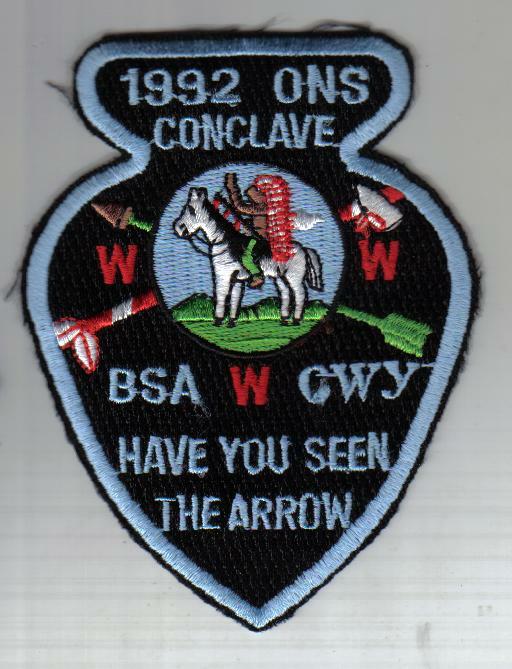 Lodge member Dal Newbold's design was selected. Training Chairman Robert Shaw reported that Seth Brown held a successful class taught on getting involved in lodge and chapter leadership with 39 members participating. 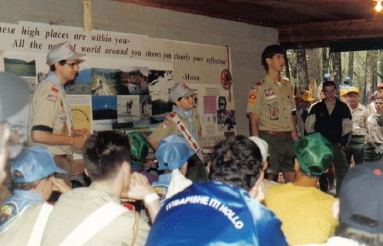 a session on low impact camping at Philmont by Michael and Marty that was well attended. 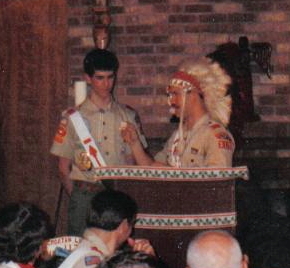 Todd Nobles was elected chief. "Z's my name and Scouting's my game"
Section chief Michael Edwards was the first youth lodge member to participate in the annual planning meeting. The purpose of the yearly meeting was to elect national officers and plan the forthcoming National OA Conference. 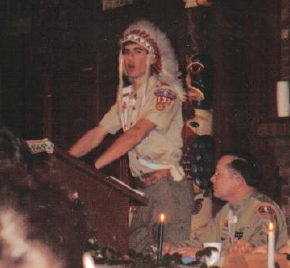 Scott Beckett was elected national chief. Beckett would play a key leadership role with the OA Trail Crew program in the future. 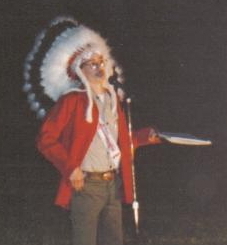 Michael advocated for more emphasis on outdoor program for Arrowmen, and was selected to chair The Outdoor Adventure Place (TOAP) at the conference. 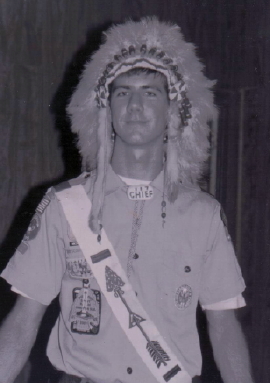 Todd Nobles from Winterville served as lodge chief. Lodge goals included a 50% Brotherhood conversion. Under his tenure the Croa-Talks improved. Secretary Robert Shaw did a great job with the layout, content, and printing. Robert also started to keep executive committee meeting minutes again. Bobby Counsberry served as Ordeal Master. 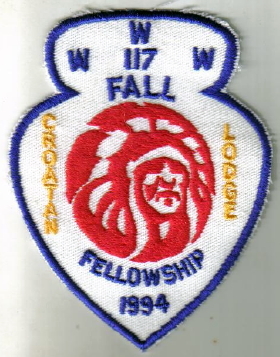 The lodge sent 102 members, which was the second largest delegation. The lodge had a very successful and well attended high adventure training session put together by Michael Edwards, Dane Brinkley, and Marty Tschetter. 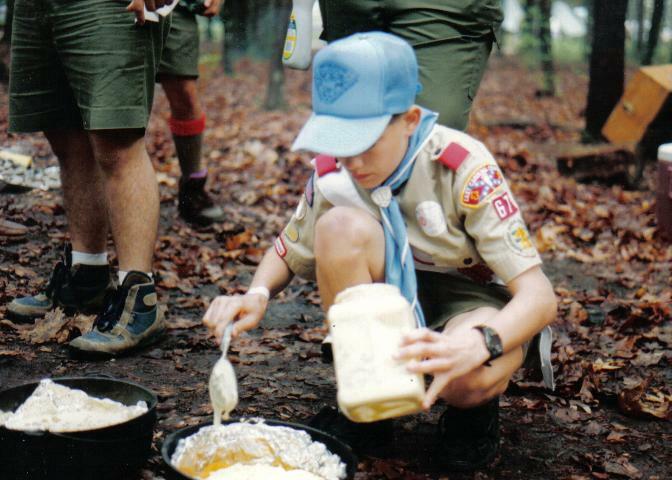 Lodge members cooked peach cobbler at the session, which helped entice people to attend. 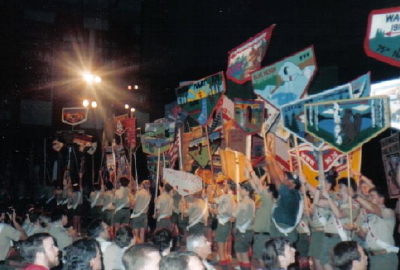 A similar display was later used at the council camporee. The lodge dancers did well. In the Old Style Novice catagory Wesley Taylor placed second and Jason Pittman placed third, in the Old Style Senior catagory Reggie Cahoon placed second and Will Lamonte placed third. In the Contemporary Traditional Straight category Dane Brinkley placed third. The lodge placed third in the Team Dance catagory. 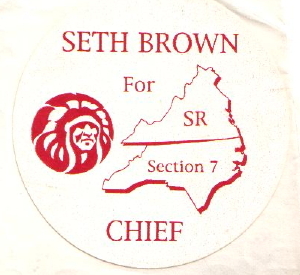 Seth Brown was elected section chief. Chapter assignments were pre-Ordeal by Tau, Ordeal by Natsihi, Brotherhood by Wiccacon. Friday night crackerbarrel was handled by Tanugahi and Saturday by Tarhunta. Dining hall duties for the first three meals were Arapahoe and the last two meals by Coree. The "keeper of the fire" for the weekend was Machapunga. All chapters worked together for final clean-up. Associate National OA Director John Alline flew to Raleigh to meet Marty and to discuss his thoughts about a potential OA program at Philmont. Before this meeting Marty was not selected to lead the endeavor. Logistical concerns, possible program ideas, and how-to staff the project were discussed. 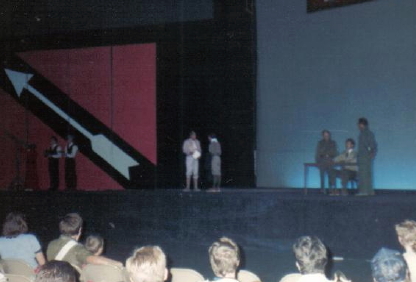 A few weeks later Marty was announced as the director. The article was not published in the national bulletin until after the planning meeting. Section Chief Seth Brown, Marty Tschetter, and Michael Edwards attended the national planning meeting to prepare and plan for OA Conservation Project, which eventually evolved into formally being named OA Trail Crew (OATC). 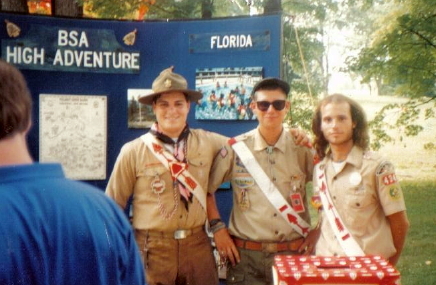 At the time, Marty, Michael, and Greg Hazlehurst, from Echockotee Lodge in Jacksonville, Florida would focus on the Philmont logistics. However, an actual program was still needed. It was decided that the youth section chiefs would focus on developing this aspect. 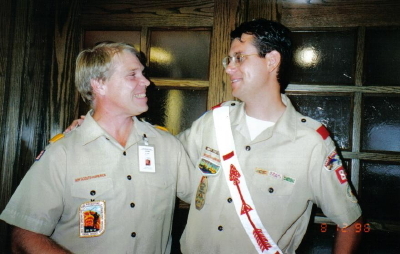 At the opening banquet, National Chief Scott Beckett introduced Marty as the selected director for the new program at Philmont. He also told the youth present that they would have to decide which national program to help plan, the OA Retreat or the Conservation Project, both to be held at Philmont. Out of the approximate fifty section chiefs, only five were interested to work with our program. The following day after committee assignments were made, the respective committees broke out to their own groups to get down to business. Longtime Philmont staffer and National OA Committee member Gene Schnell, and another Philmont staff veteran Steve Willis participated in the meeting. National OA Committeeman Bill Ketron was also in attendance. Other attendees were John Alline, then Associate National OA Director, Michael Edwards, the section chiefs, and Scott Beckett. Scott did a great job faciliating the youth to brainstorm ideas for potential program to be implemented during the program. 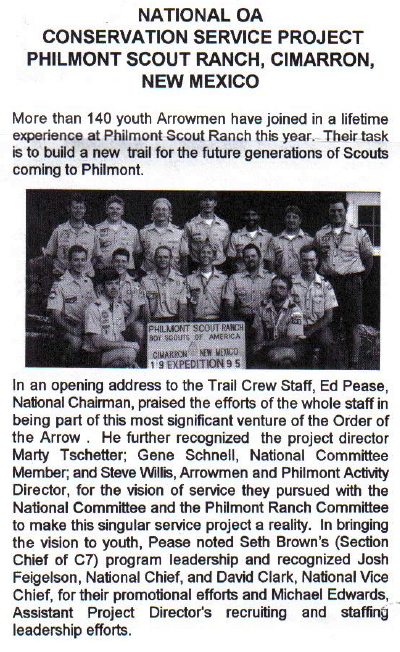 During this meeting it was decided that the objective of the program would be to "Enhance one's personal journey in Scouting by exercising the ideals of the Order of the Arrow in the Philmont atmosphere". 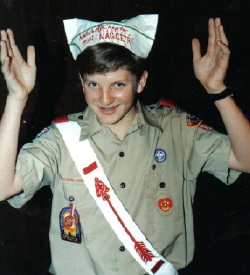 Seth Brown was selected to serve as the youth program chairman, which worked out exceptionally well since he was from the same lodge as Marty and Michael. 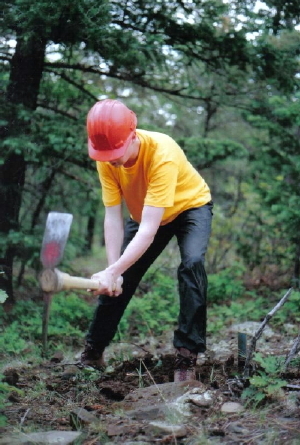 Seth was the only section from the youth committee to serve as a foreman. 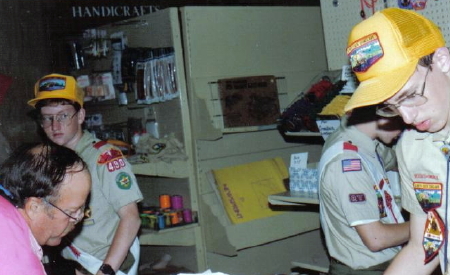 Section Chief Ryan Miske also served as a foreman, but he worked to develop the OA Retreat. 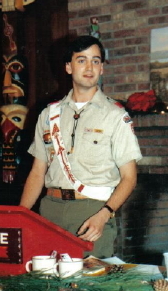 Todd Nobles served a second term as lodge chief. Robert Shaw continued as secretary and maintained a high quality lodge newsletter. The lodge dance team placed second. Reggie Cahoon placed second and Jason Pittman placed third in the Old Style Senior Division, Mike Tyndall placed third in the Old Style Junior Division. Brad White placed first in the Traditional/Straight Junior Division. Matt Paramore placed second in the Feathers Junior Division. 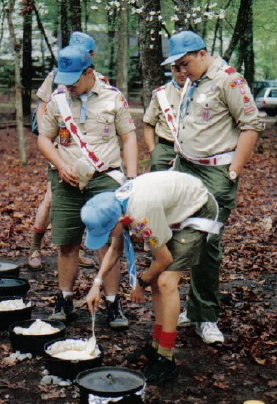 During the weekend lodge members learned that the dining hall at Camp Bonner had burned to the ground. Secretary Robert Shaw recorded that the executive committee meeting started with Lodge Chief Todd Nobles opening with the Obligation. 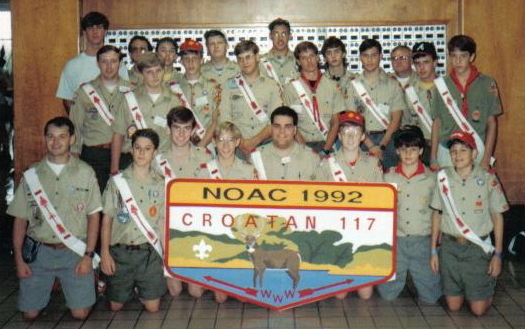 Next was chapter role call with all present except Neusiok, Neusiokena, and Tarhunta. Vice Chief of Service Nathan Brown announced that vehicle passes and project assignments would be handed out after breakfast on Saturday. Vice Chief of Camping Promotions Reggie Cahoon announced that the last day for Where to Go Camping submissions would be Sunday. Treasurer Jeremey Matthews went over the available items in the trading post. Secretary Robert Shaw announced the usual deadlines including a new chapter competition deadline, and thanked those who contributed to the May issue of Croa-Talk. Vigil Committee Chairman Dane Brinkley went over the list of eligible nominations and predicted that the forms would be available soon. Training Committee Chairman John Shuping solicited possible training topics for the fall fellowship. Next, Todd talked about the success at conclave. 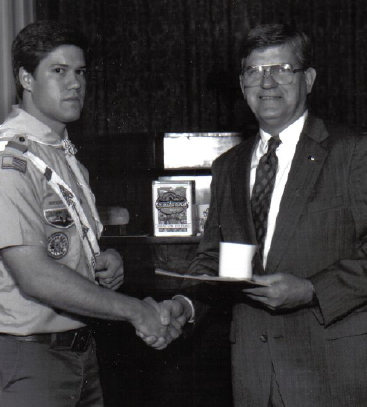 We reviewed the lodge awards and thanked all who participated. Then he reviewed the May chapter responsibilities and ceremonies. Todd predicted that the planbooks would be available soon. New business included chapter assignments for the October Ordeal. Next, Todd opened discussion on the issue of how much money should be given to the council Friends of Scouting campaign by the lodge. He noted that $600 should be the base amount. After discussion a motion was maide that $600 be donated with $400 earmarked for the new dining hall. Coree Chapter Chief Alex Armendariz proposed that the lodge get an email address and/or establish a home page. Discussion was deferred by Todd. Staff Advisor Tony Zito touched on the topics of summer camp and the specific dining hall setup for the weekend. Todd wished Lodge Advisor Arnie Formo 'good luck' at the Senior Olympic Games in Texas. The meeting adjourned at 11pm with the OA Song. After nearly two years of lengthy discussions and intensive planning, the OA Trail Crew program came to life. After training the staff was treated to a special buffalo steak banquet in their honor. The banquet was held in an original Philturn cabin near Ponil. Chairman Ed Pease acknowledged his pride in the staff and anticipation of success. National Director of High Adventure Bill Spice also spoke words of praise and excitement. The evening concluded with a special ceremony written for the staff. 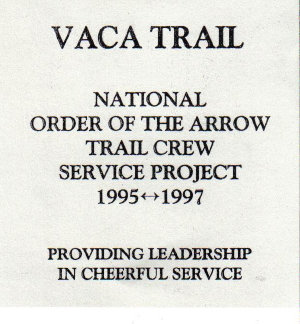 Over the course of the summer, OA Trail Crew would bring to life the ideals of the Order. Brotherhood through commraderie, Cheerfulness through a positive attitude and helpfulness exemplified by the staff, and service, which was a tangible trail. Three lodge members participanted in the program. Tim Stone (Rocky Mount), Josh LaBar (Red Oak), and Nathan Brown (Winton). 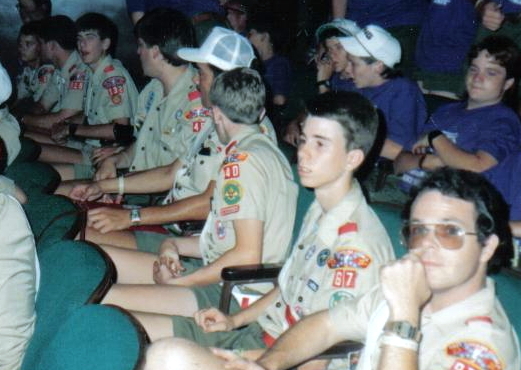 All three lodge participants participated at different weeks, but ironically they each had the same pair of foremen, Stephen Duke and Ryan Miske. Stephen Duke (New Jersey), Bernie Grauer (Tslali). 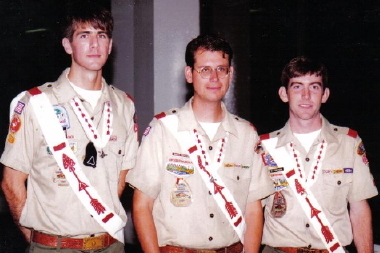 Back row: Marty Tschetter (Croatan), Ryan Miske (Minnesota, 1996 National Vice Chief), Scott Schaefer (New York), Michael Edwards (Croatan), P.J! Parmar (Illinois), Chris Olds (New York), Greg Hazlehurst (Florida). 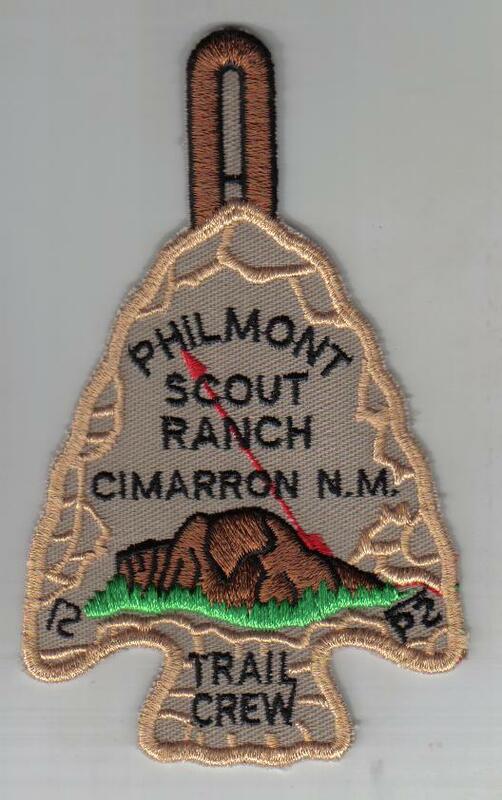 At the end of the summer, after OA Trail Crew finsished, the OA held a special "Retreat" at the Philmont Training Center. 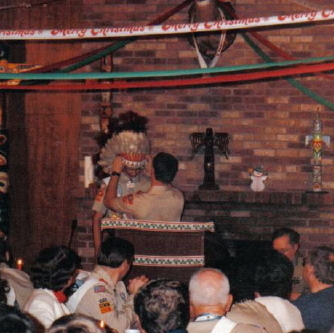 The format was similar to a conclave and included Indian dancing, training sessions, and fellowship. The lodge did not participate as a delegation. 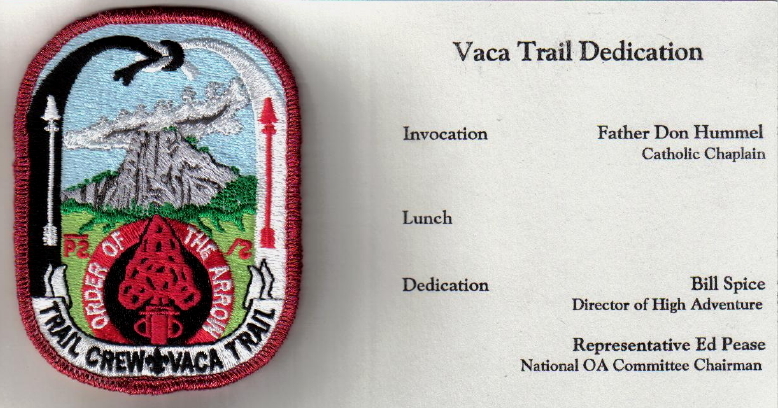 However, Marty and the remaining staff from OA Trail Crew gave a slide show recap of their success, which was later converted into a promotional slide show and mailed to section chiefs to promote the program. The key advisors were also recognized with a framed picture of the staff and participant arrowhead as a "thank you" for their support and belief in the project. OA Trail Crew Director Marty Tschetter and Assistant Director Greg Hazlehurst gave a presentation to the National OA Committee men in attendance about the program in hopes that the it might be continued. Due to the fact that the Camp Bonner dining hall had been destroyed in a recent fire the lodge decided to move the Ordeal to Camp Charles. 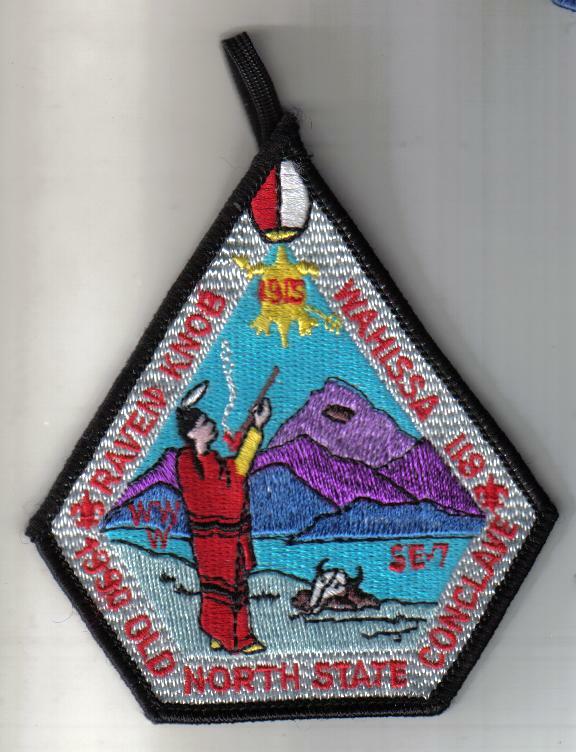 This was the first OA Ordeal held at Charles since 1967. 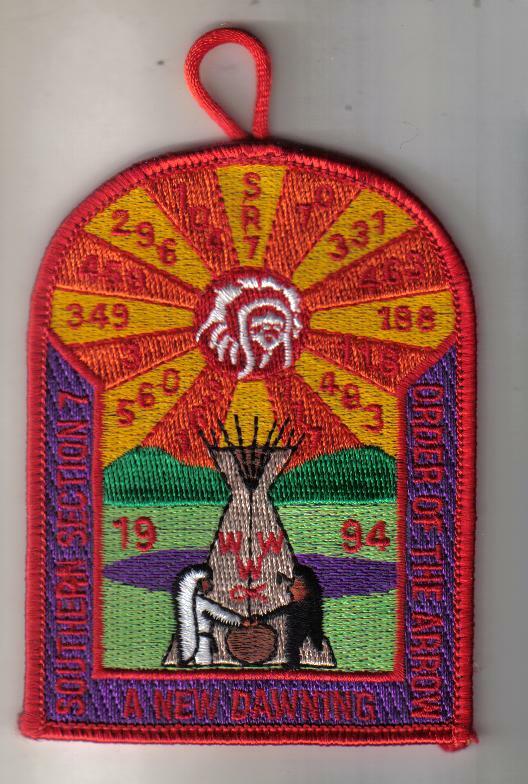 A special patch was made to commemorate the event and is considered a tough piece to acquire. 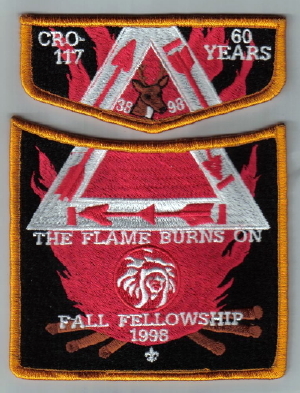 The fall fellowship patch connects to make a set. Andrew Tee was inducted at this Ordeal. 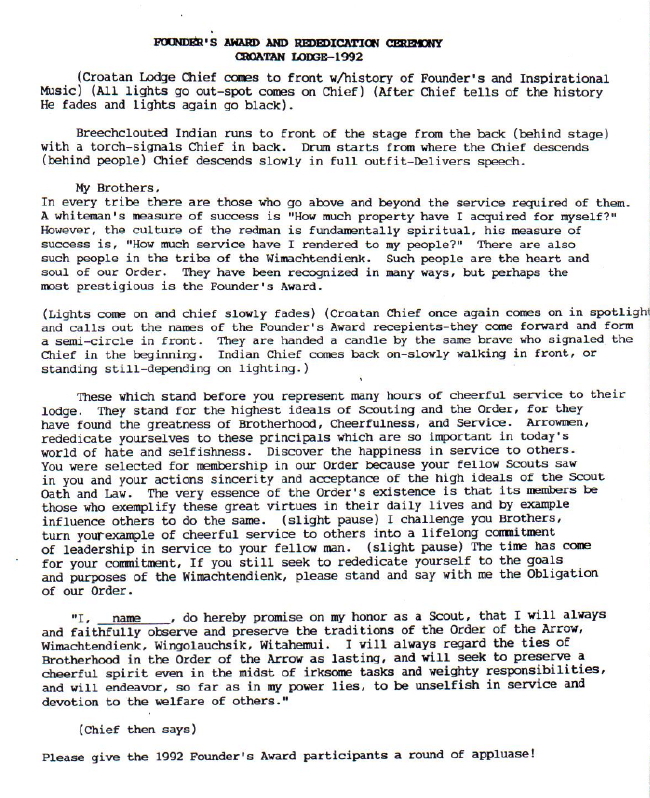 Chapter assignments were pre-Ordeal by Coree, Ordeal by Natsihi, and Brotherhood by Arapahoe. Assistance with meal cleanup for the first three meals by Tau, the last two by Tanugahi, Friday night crackerbarrel by Wiccacon, Saturday by Toisnot, with Sunday cleanup by Tarhunta. Lodge members with musical talent gathered and attempted to play bluegrass and folk music led by John Shuping. A special announcement was made that Lodge Adviser Arnie Formo placed first in the Senior Games swim meet in Texas. 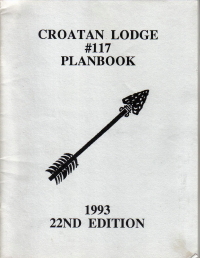 Todd Nobles wrote in the Croa-Talk issue that "Croatan Lodge has a good thing going and I want our tradition to continue. 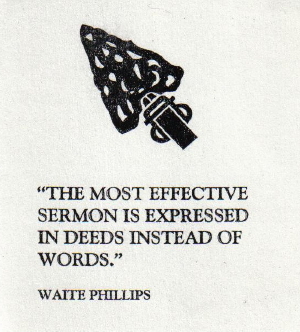 You can make this possible by offfering your service to the lodge by running for office. My life has been greatly enriched by the opportunities you have given me in this respect. You have nothing to lose and everything to gain in becoming a candidate. Let the spirit of the arrow grow and let the games begin!" 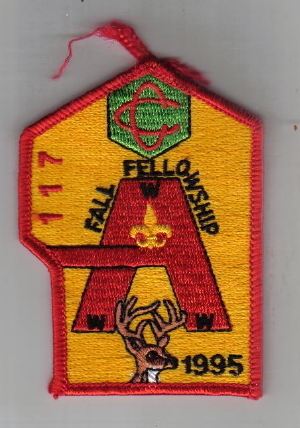 The fellowship was held at Camp Charles. The Vigil ceremony was extra special because of the historical significance the camp had long been to the council. Chapters were preassigned to chapters. The quest had an Indian theme. The events were squaw run, canoe race, tomahawk throw, water balloon toss, and blow gun shooting. There was also a volleball competition and a horseshoes for the adults. 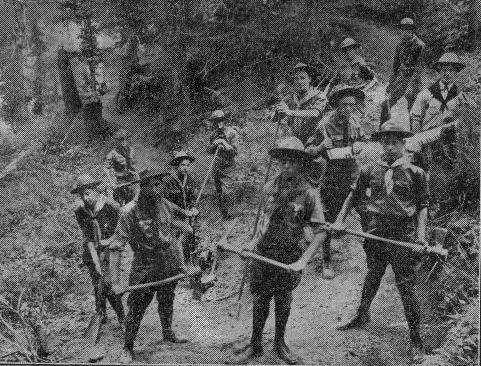 Training was organized by chairman John Shuping and held at Beaver campsite. Sessions included Effective Ceremonies by Brad White, Elangomat Training also by Brad, Camp Promotions by Reggie Cahoon, Marketing Your Chapter by Nollie Jones, an Indian Culture exhibit byGil Respess, Effective Chapter Communications by Robert Shaw, and How to Run an Effective Chapter meeting also by Robert. Chapter assignments were Friday night crackerbarrel by Tau and Saturday by Neusiok. Assistance with the dining hall for the first three meals was Arapahoe and the last two by Tanugahi. Keepers of the Fire were by Tarhunta. Marty attended the national planning meeting to present the final report from the first summer and a recap to the National OA Committee. Former National Chief Scott Beckett, who had served as a foreman, was selected as the assistant director for the second summer. They assessed the program, made a few minor changes, and worked to select staff. 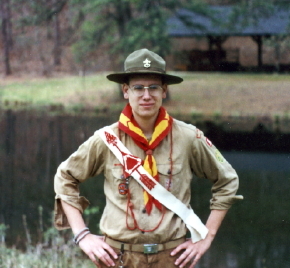 This was the first year that there was no conclave in North Carolina. At the time, the section territory was massive, including lodges as far west as Charlotte and lodges in southern Virginia. 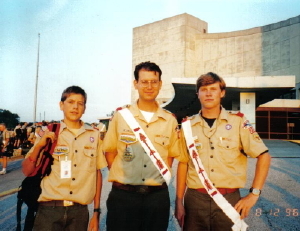 Charles Schwab (Texas), Brad White (Croatan), Scott Beckett (Nevada, 1994 National Chief). The OA Trail Crew staff, members of Croatan Lodge, and our brothers from Wahissa led a new training session called "Outdoor Arrowmen". The session was split into three cells covering all aspects of the OA and camp. Wahissa Lodge led the summer camp program, Dane Brinkley and Nathan Brown led the council high adventure program, and the OATC staff led national program. Three lodge brothers in recognition of their creative vision developing the OA Trail Crew program were recognized with the Order's Distinguished Service Award. Ed Pease speaking at the DSA banquet. 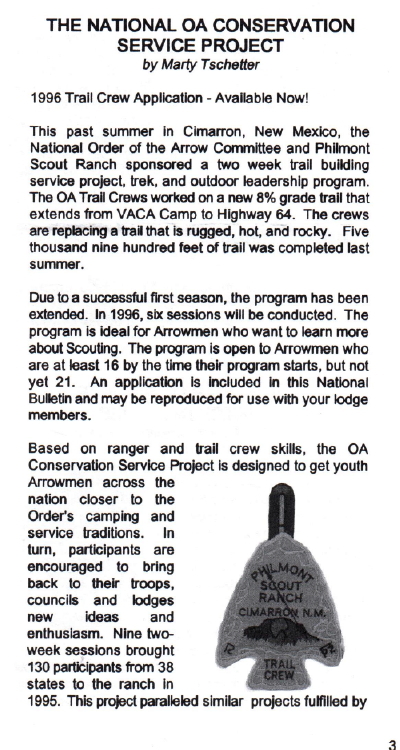 John Alline served as the professional adviser to the OA Trail Crew program for the first summer. 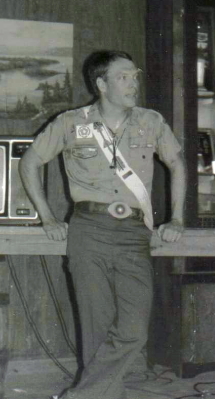 He played an integral and critical role to work with the Philmont professional staff to ensure suggestions, needs, hiring of the foremen, and logistics for the program were conveyed. At the time Alline was the Associate National OA Director. 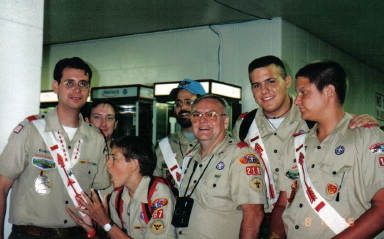 He was promoted to National Training Director later in the fall, and served as the Director of the Jamboree Division of the BSA until his untimely death in December 2009. Greg Hazlehurst, Jack Butler (national OA committee), Marty, Michael, Ed Pease (national OA committee chairman), Seth, Gene Schnell (back row, national OA committee), John Alline (national director of training), and Steve Willis. Nollie Jones, Billy Gurkin, Edmond Jones, and unknown. 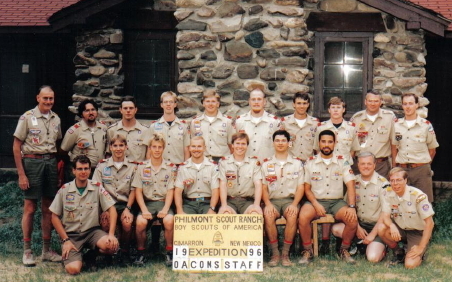 Serving as a Philmont Ranger in 1993, Michael had the initial 'vision' to create an outdoor educational program for the Order of the Arrow as a national program through the Philmont program. 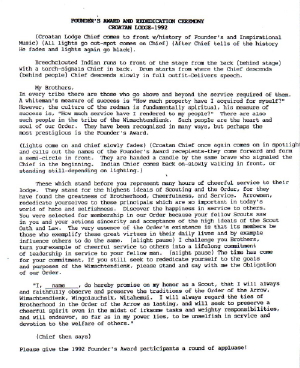 At the time he was also serving as a section chief. 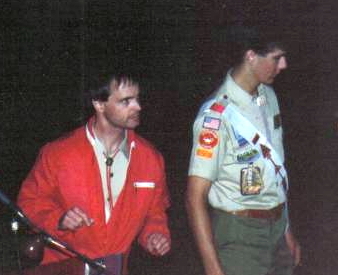 Michael was chairman of The Outdoor Adventure Place (TOAP) at the 1994 NOAC. 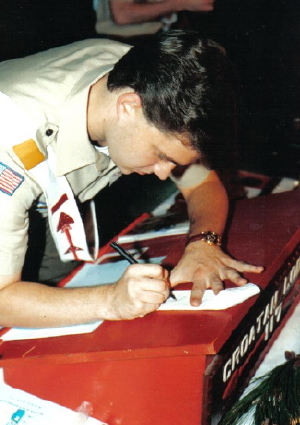 Due to its success, TOAP was used at a few national jamborees and later became a Conference Vice Chief (CVC) position at several subsequent national conferences. 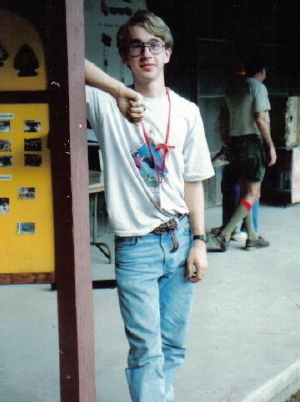 Michael served six years on the Philmont staff (1991 Philmont Training Center Dining Hall; 1992-93 Ranger; 1994 Crooked Creek; 1995 Assistant OA Trail Crew Director; 2000 ROCS Director). 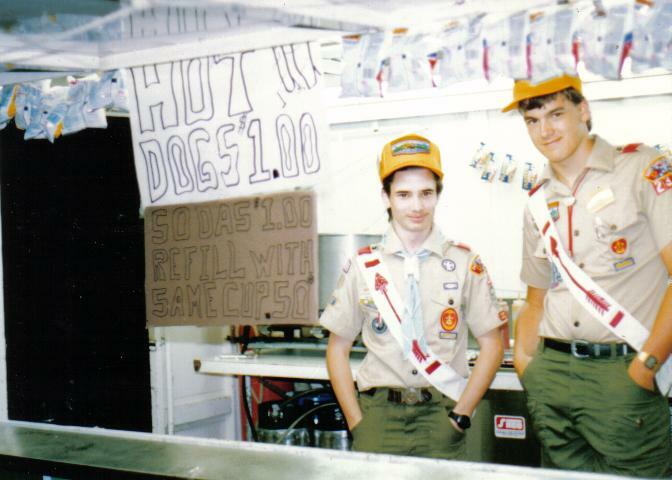 He also worked at Camp Bonner in 1990. He graduated from the University of North Carolina, then served in the Peace Corps in Gautemala, and later graduated from the University of North Carolina Law School. He is currently serves as an attorney for the National Park Service. He worked in Denver, Colorado for five years, but as of 2009 works at the ?? National Park in ?? Hawaii. Michael is married to Elise Roth, whom he met in the Peace Corps. They have a son named Samuel. 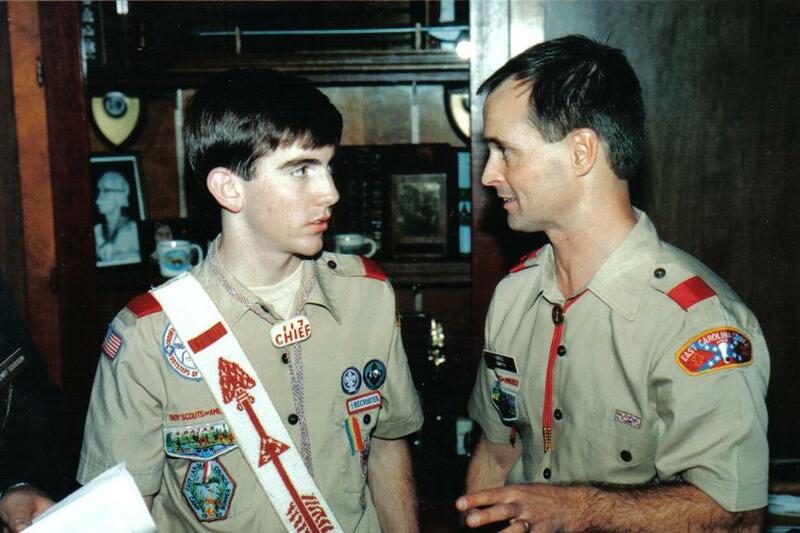 Seth served as lodge chief, then followed Michael as section chief in 1995. He was the second youth from the lodge to participate in the national planning meeting in Dallas, to plan for the national summer programs. 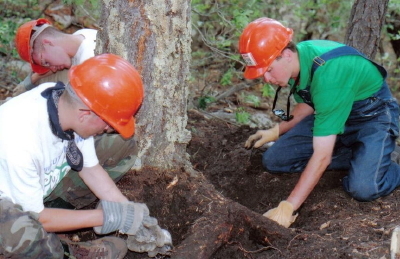 He was one of five youth to work on the program aspects of the OA Trail Crew program and the only youth from the committee to serve as a foreman the innaugural year. Seth continued to serve as the youth chairman the following year after the program had been extended due to its overwhelming success. At the end of the summer, he served as a foreman for the last session with his brother Nathan. 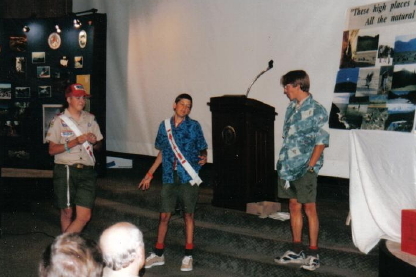 After Philmont, Seth served as a guide for the new sea kayak program in 1997-98 that was started at Camp Bonner under the leadership of Dane Brinkley. He further continued to serve the section as an associate adviser for several years. A Teaching Fellow at the University of North Carolina, he graduated with honors and pursued a career in education. After graduation he taught at Eppes Middle School in Greenville four years, earned a Masters of School Administration at East Carolina University. He served as assistant principal at Ayden-Grifton High School for three years, and is currently the principal at Ayden Middle School. He is married to a high school classmate Joanna. They have two daughters. 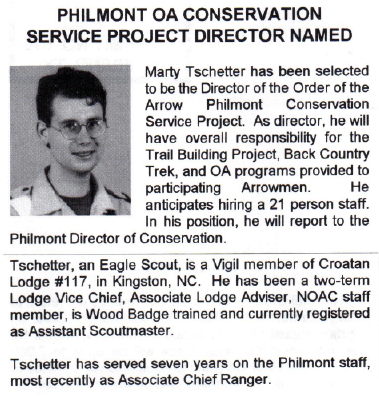 Marty worked nine summers on the Philmont staff (1988 dining hall; 1989 logistics; 1990-91 Ranger; 1992-93 Training Ranger; 1994 Associate Chief Ranger; 1995 OA Trail Crew Director; 1996 Director of OATC and 28-day Trail Crew). 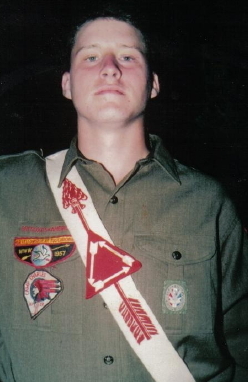 After Philmont, he served as a district executive in Portland, Oregon for two years which is all he could handle. He opted to resign and was a ski bum in Telluride, Colorado for the next five years. In Telluride he worked in hospitality and eventually spent several years in management. He transferred to New Orleans and was on property during Hurricane Katrina. Marty is currently in graduate school for library science, where his strengths are better suited. His academic interests are historical research, archives, and oral history. 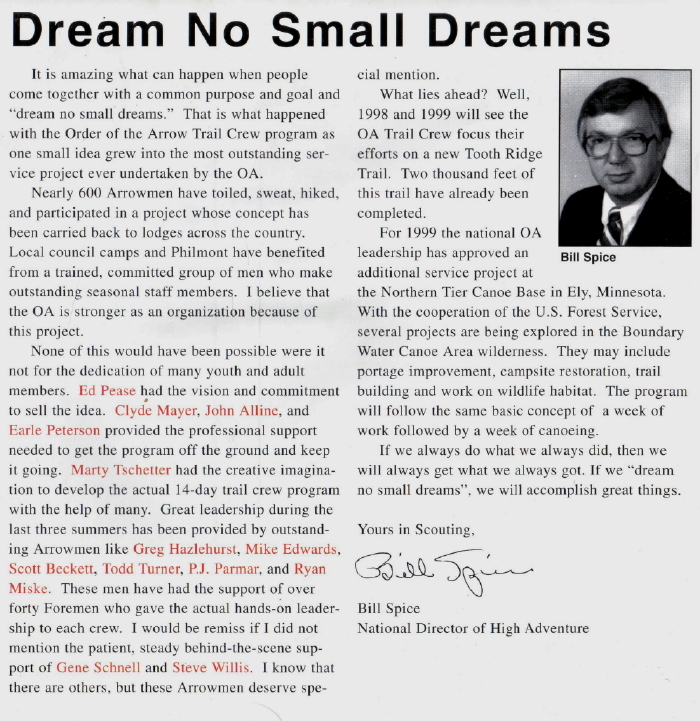 National Vice Chief Ryan Miske attended....Roger Billica?? 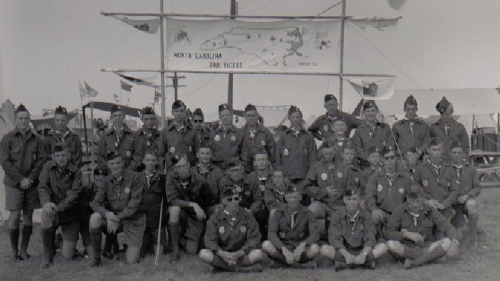 Camp Bonner, Hosted by Croatan?? 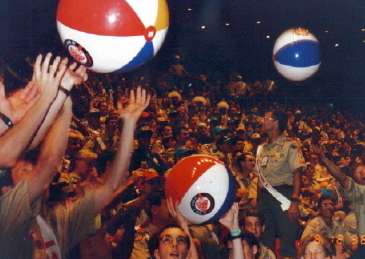 The lodge won the Team Dance and Ceremony Competition Trophies. 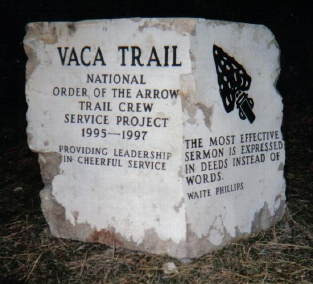 The OATC staff had finally completed the first trail that connects Highway 64 to the Vaca trail camp and on to Harlan. 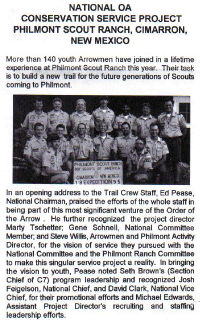 At the time the trail was completed, OATC was only being extended year by year. 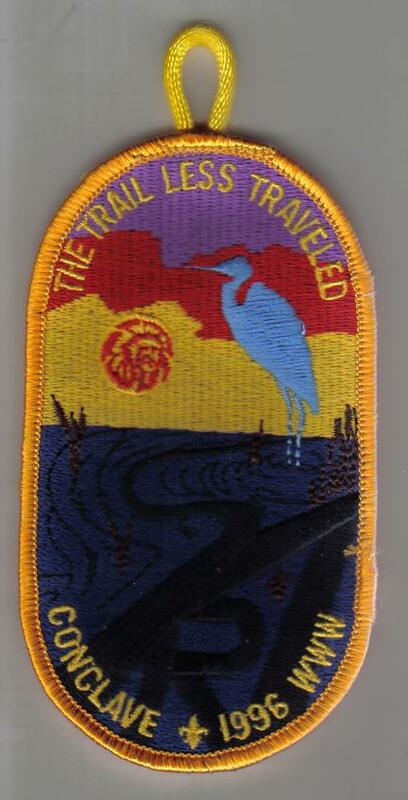 Therefore, the OATC staff wanted to commemorate the first completed trail. A special ceremony was held in August. At the time Marty and Greg Hazlehurst were district executives in the Pacific Northwest and made the trip for the dedication. 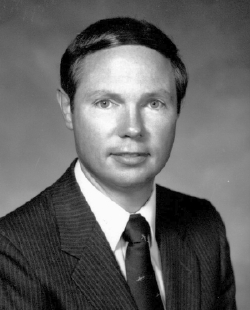 Michael Edwards was in graduate school at the University of New Mexico and was able to participate as well. A special rock was made to commemorate the trail. Ironically the rock was pulled from a nearby riverbank with two perfect sides to be engraved. The rock was placed at the bottom of the trail. The rock was considered 'controversial' to some people because there were no other markers for other completed trails. However, after a few years it was later moved to base camp. 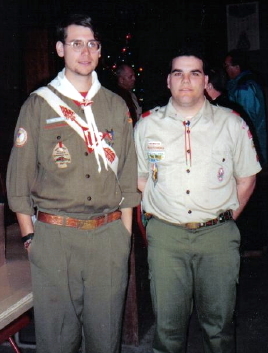 Lodge members Nathan Brown served a second summer as an OATC foreman and Brad White served as a Ranger. Camp ?? , Hosted by ? ?